Home » Posts tagged "Importance of Visual Merchandising"
Now visual merchandising is a widely used tool to bring success to the retail business. Visual Merchandising is getting higher acceptance because of its ability to visualize the idea. Attract the target customer through creating a visual effect on their mind. which induce to buy a product from the store. Merchandising is a set of activities Merchandisers do to sell the product or services to the target customers. Here merchandising is done by the merchandiser. And visual merchandising is one of the popular tools used by the merchandiser. 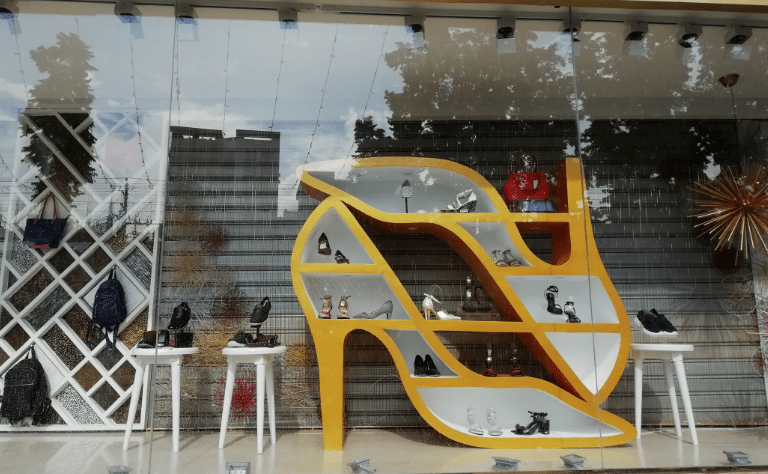 A simple definition of Visual merchandising is a process of creating a visualization of marketing ideas for the purpose of creating attraction and interest in the mind of customers by visual means. Sometimes visual merchandising helps to make people better-understood the product and service type of business. Suppose you are planning to buy a new dress. For buying you normally go to a particular place. But you did not yet select the shop or brand from where you will purchase your dress. After reaching there you saw a well-decorated shop with beautiful dolls is placed. Gorgeous dresses are displayed. salespersons are well dressed and the outside display is showing they are offering a 50% discount. You saw all of these and become interested to go inside the shop/stall. So your mind induces to visit their shop and purchase a few items. Here the main focus thing is, you were first influenced. And this influence is created by their visualization which is as a result of visual merchandising. They successfully influence you to buy their product and merchandisers are actually working for selling goods and services. Look into this picture, a company trying to sell their product “Fresh Drinking Water”. so they put this image for promoting their product. Here they were trying to use the emotion of health conscious people by showing the sugar level in a particular product. 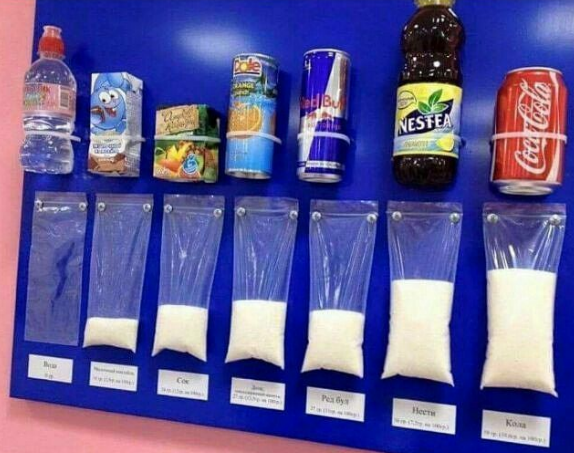 People know that too much sugar is not good for health, and they are showing their drinks is sugar-free. Actually, they are using visual merchandising for sales promotion of their product which will help them to sell their product. Visual merchandising is used for creating a visual effect. This help to attract the customer and create an intention to the customer mind. This idea is mainly applicable to a retail store of different products. But now you can see various uses of visual merchandising. Success depends on how well you convert your ideas into the visual outcome. One form of popular merchandising widely used in cloth shop/apparel industry. In the early days, visual merchandising was used by popular brands. But now this trend is followed by a small business. Because of the advantage of creating brand awareness among the individuals. It is easy to get the intention of the customer and influence them. People will be interested to visit your store with the help of visual merchandising. You made a design for your outlet in a way that looks attractive. You can expect that definitely, people will come to visit your store. And then all you need to offer your customer a better product and services. Through visual merchandising, you can design your store layout in an attractive way. That will bring your more target customer and increase your revenue. Proper merchandising planning is required to offer a better service. You may find both inside and outside of the store is decorated based on a particular product idea. The product which means the major value of your product. It can be in terms of value or in terms of quality. Share your product idea through visual merchandising will give you an extra edge of getting market competitiveness. Merchandising displays is the easiest way of sharing your product ideas. To ensure effective business there is a requirement for creativity. A creative mind can design a perfect visualization of promotional ideas. Without creativity in the visual merchandising field, it is not possible to get your desired outcome. As the design of the outlet is one of the costly operations of initial business startup so money should spend carefully. Proper planning is required for initiation to the execution of merchandising ideas. Design of store and construct accordingly is a time-consuming process. You may require at least two weeks for interior design. Setup of furniture, a fixture of furniture and then arrange your product. Another thing is, when you design your outlet you must need to find out a good interior designer. You already know that; visual merchandising is mostly applicable to the retail store. Because here visibility is important to attract the target customer. Normally retail store is to be a physical store rather than virtual. The business owner spends millions of dollars on the design and outlook of their store. Apparel retailers are now more concern about visual merchandising. The reason is higher competition in the market. The retail store is a point of sale where a customer can experience the products. Earlier people thought that visual merchandising is only applicable for retails store. That’s why their core focus was for applying it to a retail store. But now because of the expansion of digital communication. And the flexibility of online transaction the demand for e-commerce is increasing day by day. People are now using online shopping facilities and shifting from traditional to digitalize. But the question is how visual merchandising can be used in the online shop? The idea is applying your visualization idea is through your website. Make a perfect design, which is attractive, user-friendly, auto responsive and also have an online payment option. As long as you provide the best product and services to your store customer, you will be successful. Visual merchandising in the trade fair is another dimension. Where for local and international trade fair thousands of business owner participate, just to share their product and services. And also do some business through selling. But here they focus on visualization and induce visitors to come and see their products. If you closely look around at a trade fair, you must notice how organizers applied the visual merchandising. They use the visual merchandising concept to decorate the whole trade fair. The first step is to select or identify your product for which you want to do merchandising. Based on the product type you need to develop a strategy for sales and marketing. So this one is the crucial step in starting visual merchandising. Identify target customer is the second stage. In this stage, you must work for identifying and selection of target customer. Whether your target customers are child, adult, male, female or any other group. Based on your target customer you need to design your store layout. Because of different things preferred by a different group of people. The store location is one of the key success factors because a good location will give you more customer exposure. Store location can be in highly populated areas. Or it can be in the middle of the market. Or in a huge mall or any other place where your target customers are moving around. At the time of selecting your store location, you must consider the store cluster. If you want to make your store more visible from the outside. You must choose a glass of different design which may increase attractiveness. For a multi-story store, you should have proper floor plans. So that you can decorate using glass or any other means. 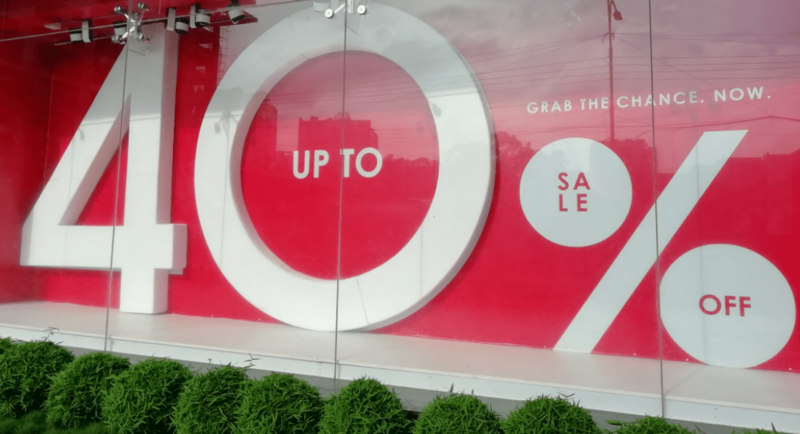 Window displays are one of the popular and commonly used techniques for creating attractive store layout design. 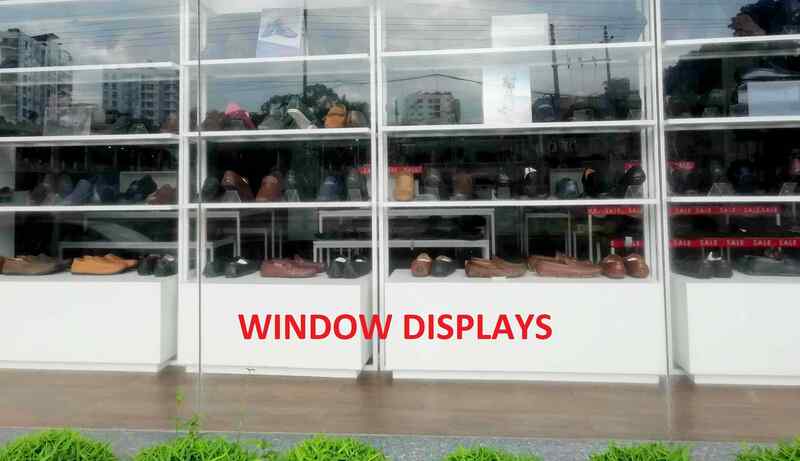 Because of the window displays, prospective buyers can see from a long distance, what kind of product and service they are offering. And what is the key benefit of that product is also displayed in windows. Here for designing window displays, visual merchandiser uses a high quality printed sticker. Which is attached to the outside and inside of the store wall. Because of flexibility in displaying advertisement and all other promotional activities digital displays are heavily used. A high-quality big monitor/ digital displays are set in the store through which people easily can get attracted. People also able to know the features of a particular product from the displayed information. The cost of digital displays is decreasing that’s why the demand and use of this product are increasing for visual merchandising. Digital displays are now more visually appealing for driving customers. The color of wall, window, door, and shelf everything matters in visual merchandising. Because this will increase the visibility of your store and your product. Color preference for both male and female is different, so you have to keep in mind who is your target customer. The color scheme is one of the preferential parts of visual merchandising. If you are targeting child then your inside decoration should be different. Your shelf should be set in a way that a child can see their desired cloth items. Eye level of different height should be carefully maintained. Your product can be a position like horizontal form or vertical form. It is all about your choice. If you go to a superstore. You may have seen that product is displayed horizontally and vertically based on the product type. Every furniture store should be placed with proper planning. Right furniture should be in the right place. Here, the view is the outside look of your store. If your store looks attractive from the outer view then you must definitely get a lot of customers visiting your store. A three-dimensional view will add an extra edge to your design. You can offer customer experience from the outside view also. Most of the time sunlight is not enough. so you must depend on lightening but here the important thing is, the color of light and extent of lightning. You can use moderate lightening rather than heavy lightening for your apparel store. If your store is always remaining hot then this is the problem. So, it will be better if you set air conditioning. But keep in mind that, before setting AC you need to calculate the air-cooling amount required for your store. A suitable temperature is preferable for the customer of the store. After layout design and required activities, you can plan for promotional activities. That is how you are going to promote your product or services. For promotion, you will be required to make a promotional tagline which you can use for creating a visual effect. People will see your promotional message from outside and if they become interested then definitely they will visit your store. It’s time to create a visualization effect in your store. If you can successfully create a visual effect which will help you to attract your target customer. The visualization effect will come from your interior and exterior design, your product setup and all other promotional activities. A positive visualization effect will attract your target customer. And it depends up to you whether your customer converts into a loyal customer or not. Your store, your product, your price and the attitude of your salesperson will induce the customer to buy your product. When you convert your target customer into an actual customer through visual merchandising. You must get your desired revenue and profit from your business. All your hard work will pay off to you as a reward. You know the long-term success of a business is depends on the satisfaction of a customer. A customer will be loyal if you provide prompt service. And your product quality is good enough to meet the customer satisfaction with the price they had paid. And as a visual marketer, it is your responsibility to ensure the satisfaction of your customer. The demand for visual merchandising is increasing day by day. Because you can get your target customer by creating a visual effect of your apparel store and your garments item. All local and international brands are trying their best to display their product in an attractive manner. So that we get influenced by their promotional activities. And go there to buy their product. And for displaying their product is the best possible way would be a visual merchandising policy. After all these discussions, hopefully, you can now clearly understand the idea of visual merchandising. And how it works for boosting your business. If you have any query, then please let me know. 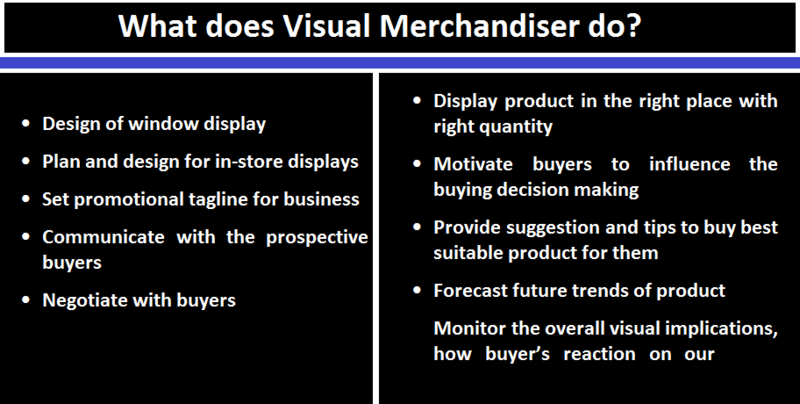 What does Visual Merchandiser do? 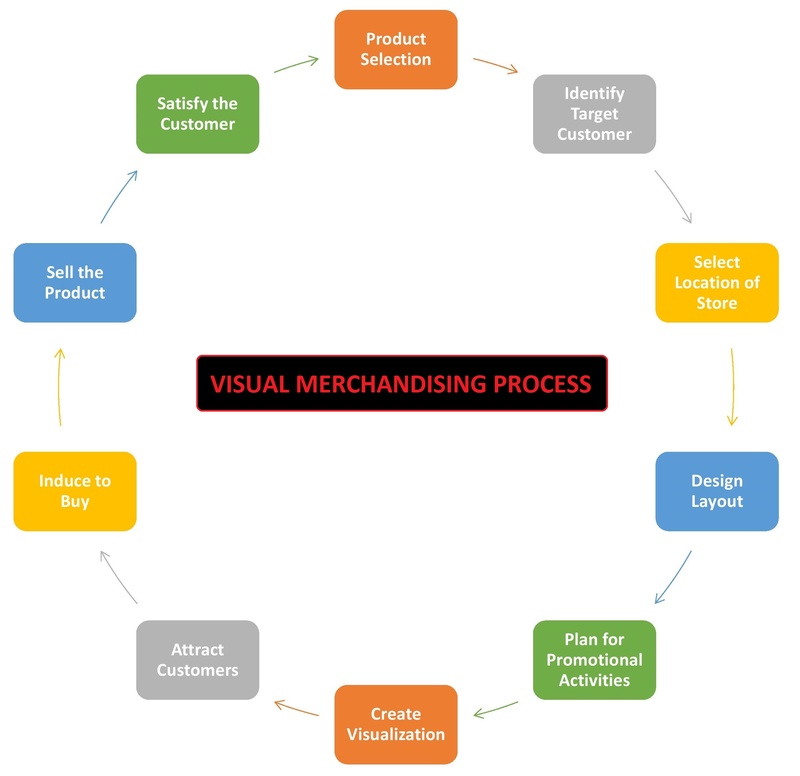 The question may arise in your mind that what does visual merchandiser do. Here is the answer, actually the overall function of a visual merchandiser is to market their product. By creating a visual effect and the ultimate objective is to sell the product. If you talk about retail visual merchandise then their function is limited to retail merchandising. For making a retail store with a beautiful design, create attractiveness and stimulate the positive buyer’s behavior. On the other hand, online or web-based visual merchandising is depends on website design and product offering. It is your responsibility to ensure the right product in the right place with adequate promotional offers. Monitor the overall visual implications, how buyer’s reaction to our visual merchandising efforts. One of the popular forms of visual merchandising in retail visual merchandising. Where visual merchandising focused on the retail store or retail sales point. Actually, all the efforts of merchandiser are to meet the customers demand at the retail store. And persuade them to buy more and more to become a loyal customer of the business. With the help of this, maximize the company’s revenue and profit will be easy.